After traveling the 2,170-mile Oregon Trail, the wagon trains arrived to Oregon’s Mt. Hood Territory during the fall months. With 2018 marking the 175th commemoration of the trail, this is the perfect season to experience the area just as they did. For the commemoration Oregon’s Mt. 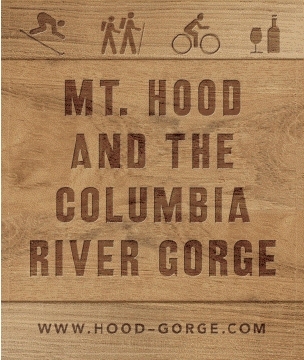 Hood Territory worked with partners along the trail to have social media influencers travel sections of the entire Oregon Trail. This provides an opportunity to not only tell the story of the past but also the trail’s current story. In each city, the influencers interviewed and worked with Modern Pioneers from that area to tell their stories. Who is a Modern Pioneer? You probably know some. Or maybe you are one yourself. Modern Pioneers are everywhere along the Oregon Trail. They are business owners, makers and leaders carrying on the entrepreneurial spirit of the original pioneers who set off on the Oregon Trail 175 years ago with the dream of a better life. These are the stories of the people who make up the cities along the trail, the Modern Pioneers of the Oregon Trail. We invite you to follow along, share your photos with #oregontrail175, visit the links below and plan your own Oregon Trail trip. See you on the trail! 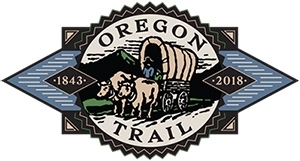 Many partners throughout the state of Oregon and along the entire trail will be holding events during the year for the Oregon Trail 175th anniversary. Visit Travel Oregon for more information on the events in Oregon. Click on the partner logos below to see what is happening in each region.